The long-awaited next version of PHP, version 7.0, was released at the end of 2015 and has been since receiving regular updates. With this new version of PHP, amazing speed and new features came along with it. 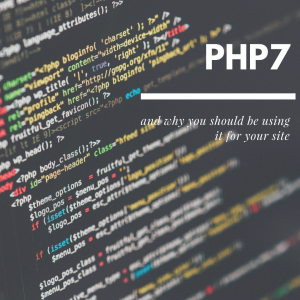 Because it was released over three years ago now, PHP 7.0 itself is actually nearing End of Life status (this means it will not receive updates in any capacity) and PHP 7.3 or 7.2 are the more preferred versions of PHP to have your site use. While version 5.6 and 7.0 recently received critical security updates, your sites really should be using PHP 7.3, if not, PHP 7.2. PHP 7.3 is available on both cPanel and WordPress Only hosting platforms! There have been some new features added, some things taken away (for good reason), and it’s wicked fast. As PHP 5.6 and 7.0 support ended recently, and 7.1 support ending at the end of the year, we would like to start getting everyone switched over to at least 7.2 or preferably 7.3. There are a couple ways you can get the PHP version for your site changed. If you or your developer would like to handle this all yourself, you can change the PHP version using the MultiPHP Manager in your cPanel account. In the search box at the top of your cPanel account, search for “MultiPHP Manager” and click the resulting icon. Now, it’s all on a site-by-site basis, so you will need to change each site to a new version of PHP. You can click the checkbox to select all and mass change them or go one-by-one and then test the site to ensure it still functions as expected. We will switch the PHP version to 7.3 and make sure the site(s) load and click a few links to see that they still work. If there are any issues, we will try 7.2, 7.1, or 7.0 if needed, and failing that change, switch you back to PHP 5.6. Once we’ve finished the testing, we’ll send you an email letting you know the outcome of the change. At that point, we highly encourage you to test all facets of your site to ensure that they function as expected. After all, you know your site best! If there are any issues, it’s likely going to be due to a plugin that either needs to be updated within your site or the developers need to push out an update. Either way, we’ll make sure you have all the needed information to move forward. We will switch the PHP version to 7.3 and make sure the site(s) load and click a few links to see that they still work. If there are any issues, we will work our way down to a version that works with your site. Once we’ve finished the testing, we’ll send you an email letting you know the outcome of the change. At that point, we highly encourage you to test all facets of your site to ensure that they function as expected. After all, you know your site best! This plugin can be used to scan your site for potential issues with PHP 7+. It does rely on wp-cron to be functioning properly or else the scan can get stuck. While this plugin is written to detect as many problems as accurately as possible, 100% reliable detection is very difficult to ensure. Please note that this is a third-party plugin (not provided by BCH) that we found to help aid you in the transition from PHP 5 to PHP 7. There is an option to scan only active themes and plugins which would help the scan complete sooner. Though, if you have any inactive plugins that you intend to use, you should scan them as well. Any plugins you do not plan to use should be removed (bonus: this helps save on disk space!). If any questions arise about the version change process, PHP in general, or whatever else, please don’t hesitate to open a ticket with support@blackchickenhost.com. This entry was posted in Blog, Hosting and tagged PHP on February 15, 2019 by forty. It is with such mixed emotions that I write you today with very big news. While I’ve been largely absent from the support side of things for over a year now, I’ve never stopped working on BCH at large: This company has been my passion, my obsession, since the day I founded it in 2011. Over these last six years, I have so enjoyed supporting and getting to know most of you, forming partnerships that have resulted in many mutual successes and even friendships which extend outside a professional relationship. However, I have also not had a single day off since 2011, and that has taken its toll. From literally the moment I wake up until the moment I fall asleep for a few hours, BCH is always on my mind. I know how much you all depend upon us, and that is something I do not take lightly. After much soul-searching, careful consideration, and discussion, I am turning Black Chicken Host over to two of my best and most trusted friends, Adam and Hannah Fortman. Some of you will know Adam as “Roy” from support, and a bunch of you have also worked with Hannah some time ago when she was doing support work for us. Adam is taking over immediately, and Hannah will join the team in late November. I trust no one more than these two to take care of you and BCH. I met Adam years ago when he began to work for me at my “real” job, and he quickly became one of my most valued team members, excelling swiftly and proficiently up the ladder. While I had a small hand in molding and shaping him into something amazing, he just inherently brought a whole boatload of awesome to the table. A year or so after that, Hannah began taking an interest in hosting, and BCH provided her with the experience to get her feet wet in this particular pond. She was hired in at the same company where Adam and I worked and did exceptionally well herself: She is already in a management position within the support organization. Prior to that, she worked on a managed WordPress product, and bring a lot of expertise in that area. The time has come for them to move on from that company, as I recently did, which affords them the opportunity to take on the full responsibility for BCH. Both Adam and Hannah understand that, for many of you, your website is not just a hobby – it’s your passion, your livelihood, your income: They take their responsibilities very seriously. This is not a sale – it’s not about money for me. I am giving them Black Chicken Host, free and clear, because I know they will be a perfect fit – they’ll do an even better job than I did, because Adam’s technical expertise vastly surpasses mine, and Hannah will be able to devote her full attention to customer support, business development, and more. They will inject so much new energy and passion! You deserve nothing less than the best web hosting experience, and these two, along with our other dedicated support admins like Melissa and Caroline, will provide it. I will be assisting Adam and Hannah for a long time after the transition – I’m not jumping ship and leaving everything behind. I want to make sure BCH continues to provide the best customer service in the industry paired with superlative server performance. There’s a lot to learn, and I will be very happy to mentor them in this new endeavor for as long as needed. BCH will get better and better over time, and I am very excited to see what these two create. They’re incredibly excited about BCH’s future, as am I! Please feel free to welcome them, or to send along any questions or concerns you may have at any time. Adam will be sending out a message to introduce himself shortly. I’ll be here behind the scenes – if anyone wants to reach me, please ask for me in a support ticket. Parting is bittersweet, of course; I will miss you all, but I am also looking forward to some much-needed rest as I move out to San Diego to pursue perfect weather and motorcycle riding conditions. I wish you all the best! It has been my honor and pleasure to serve you. This entry was posted in Blog, From the Founder, Hosting on October 17, 2017 by Host Administrator. Today, I am extremely pleased to deliver some really exciting news – I’ve brought Benny Vasquez on as my business partner and Chief Technology Officer for Black Chicken Host! Many of you have already interacted with Benny via support tickets, and have seen first-hand her fantastic customer service and systems administration skills. Benny has been a large part of my development as a Linux systems administrator and web host since we met in June of 2008. She brings an amazing drive and technical expertise to BCH, and has already made significant improvements to our business. Her skill and determination are just what BCH needs. Benny and I share a common vision – a commitment to you, our customers. We both know you’re very good at what you do, and that our role is to do the technical heavy lifting to make sure you can keep getting your content out there. We have some great plans to move the company forward while maintaining that personalized customer support you’ve come to love: We thrive upon our close relationships with our customers. I’ll still be as involved as ever as CEO, and we’ll share the support load evenly. What does this mean for you? Product improvements! New blog content! Better service all around! Support coverage in the morning! Thus, without further ado, please meet Benny Vasquez, BCH CTO, who has an opportunity for you to help us shape our future. Communication using technology fascinates me. Here, in my living room in Michigan, I am preparing to tell you all about myself. With our phones, or tablets, or laptops, and the ever-increasing availability of free wifi, this blog post can be read anywhere in the world, and in an age when Twitter is a quicker way to find out if Netflix is down than calling Netflix, I believe that technology is key to connecting us to each other. Too, I believe that it will lead us to a better and deeper understanding of ourselves. No children were harmed in the making of this image. I found my interest in technology early. My dad was a natural tinkerer, so as soon as we could get a computer, we had three. Apple, Amiga, MS-DOS; I had early exposure to all of them! 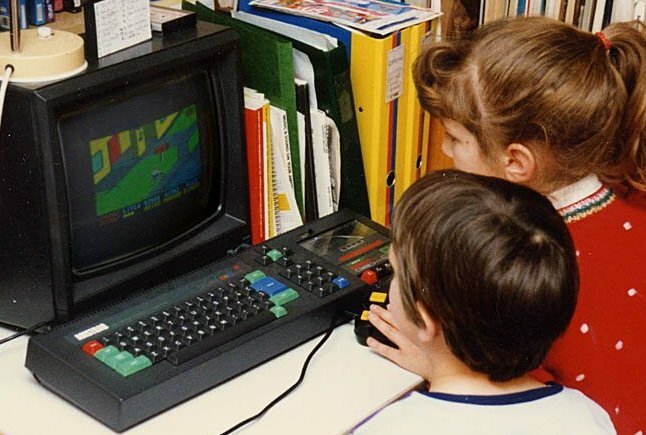 I learned to love computers through video games and word processors, and as I grew these tools became comfortable allies in research and communication. Despite my early interest, computers themselves were never a field of study that I felt compelled to pursue. They never seemed independent of all of my options, because they were and continue to be necessary tools. Surprisingly, that level of comfort has not yet diminished my awe. I remain ever-impressed that answering a question about anything at all no longer involves reaching for an encyclopedia, and that waiting weeks for our written communication to arrive in the hands of another is no longer the norm. I keep maps in my car for nostalgic reasons, knowing that as long as I have a phone I won’t ever need them. I promise, we’re nearly there. Even with their ubiquitous nature the unfortunate truth is, if you have never learned how to use the tools, you are left at a disadvantage. That gap is exactly what Erin has worked so hard to close for those hosting with Black Chicken Host. She has spent 5 years helping people who are compelled to goals that require the use of unfamiliar tools, and I am amazed at her dedication to that idea. I’m excited to keep building BCH to be the best choice for your webhosting needs, and to ensure that we provide the best and simplest tools to everyone else that wants them. My goals for this year are largely dependent on you: Our customers. Erin and I welcome feedback and questions, and would love to interact with all of our clients more in order to identify any gaps in our services, and to help in any way we can. To that end, Erin and I have put together a 7 question survey, and as a reward for helping us move the company forward, we’ve decided to give $10 of BCH credit to each existing customer that takes the survey in the first 30 days. The questions are quite simple, and should only take 2 – 3 minutes, but the information you’ll give us is invaluable. Please take a moment and help get paid to help shape the future of BCH! This entry was posted in Blog, Hosting on September 8, 2015 by Host Administrator. Most of our customers never log into their cPanel account; they are completely happy to work within their WordPress Dashboards and never worry about what else might be available. This is, of course, completely fine; however, there are many things inside cPanel that might be beneficial for you to know about. So! We’re writing this quick cPanel primer to help you learn about some handy features you can access therein. cPanel is the user-level domain management control panel we use on our shared servers (and on many of our VPS and Dedicated servers, too.) It allows users to oversee and manage nearly every aspect of the domain, including backups, email and FTP accounts, bandwidth consumption, statistics graphs, subdomains, software installations and more – all within an easy-to-learn-and-use graphical interface. When you first signed up for your BCH account, you received a “Welcome” email that contained your cPanel URL, username, and password. If you don’t have the email anymore, we can easily re-send it to you. The one caveat with using your domain is you’ll receive a security warning about the SSL certificate not matching the domain name. This is because the SSL is for our server’s hostname, not your domain – it is completely safe to proceed through the SSL warning here. Once you’re in, what your cPanel looks like will depend upon which theme you have selected. Older accounts will have the x3 theme by default, while newer accounts will have Paper Lantern. You may change your theme by using the “Switch Theme” selector on the main page. cPanel backups are outstanding – they are a full, exact snapshot of your entire account in one handy file. It will contain everything from databases to email to themes to widgets. If something goes wrong with your website which cannot be fixed or undone, reverting to the last cPanel backup will put everything back in place as it was at the time the backup was taken. We strongly advise downloading a cPanel backup to your home computer from time to time, just in case of the unlikely event something catastrophic occurs within our datacenter. Our courtesy cPanel backups are very robust, but they are a courtesy service only – they are not guaranteed. You can access cPanel backups within cPanel under the Files area. If you click up Backup Wizard, you’ll see options to Backup or Restore. 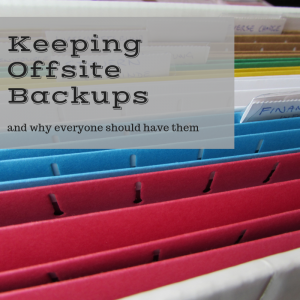 Backup restorations are typically best left to us to perform, so I’m going to skip over that for now, and focus upon how to generate and download a cPanel backup. Within the Wizard, please click on Backup, and then on Full Backup. On the next page, select Home Directory in the Backup Destination, and then enter your email address in the field below to receive a notification when the backup process has completed. 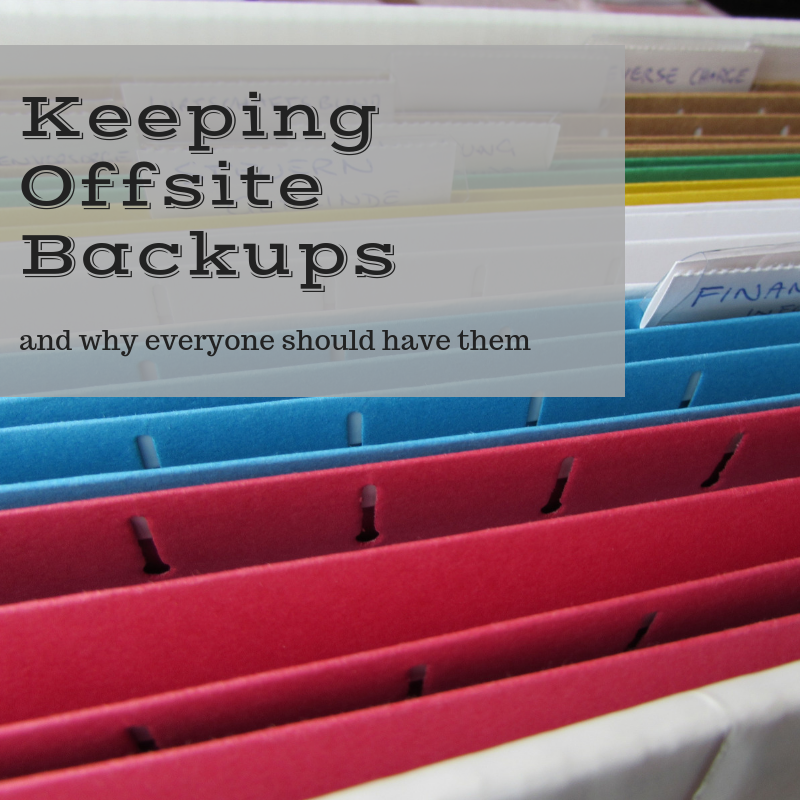 Click “Generate Backup.” Depending upon how large your account is, the backup may take anywhere from 5 minutes to 2 hours. When you receive the completion email, log back into cPanel, and this time, go into the Backups icon. In the Account Backups drop-down menu, select the date from the backup you took in the step above, and then click Download. Voila! You now have an off-site copy of your entire cPanel account. It’s easy and worth the peace of mind. The next area we’d like to discuss is email. If you’d like to set up email accounts under your domain and are not using a third-party mail provider such as Google Apps, you can set up email accounts within cPanel. Log into your cPanel account, and look in the Mail section. There are a lot of options here, and today we’ll just focus on a few: Email Accounts, Webmail, and Forwarders. This is where you will set up new email accounts, as well as editing or removing existing email accounts. Creating a new email account is very easy. Let’s say I want to set up the address me@mydomain.com. Under Email Accounts, I would enter “me” without quotes in the first text box, and then make sure I have “mydomain.com” selected in the drop-down menu to the right. Click Create Account, and there we are – a new email account! To change the password for an existing email account, we also go into the Email Account area. To the right of the email account, there will be a “Change Password” option. Click that, and enter the new password, then save it. Once you change your password, do be sure to change the password inside all of your email clients (including on mobile devices!) lest your IP become blocked for too many failed login attempts on email. Your username will be the full email address. You may also access webmail from within cPanel under the Mail area, on the Webmail icon. Once you’ve logged in, you’ll be presented with three options: Squirrel Mail, RoundCube, and Horde. I recommend trying all three to see which you like best, as the formats are quite different. There are two important differences here. When forwarding email for an account that does exist in cPanel, incoming mail will be delivered to that email address and then also forwarded to the destination you set up. When forwarding email for an account that does not exist, it will only forward to the destination, and will not be delivered anywhere locally within cPanel. To set up a new forwarder, simply log into cPanel, go into the Mail area, and click on the Forwarders icon. Click “Add Forwarder,” and then enter the first part of the email address. From the example above, “me” would go here. Then, select the correct domain from the drop-down address. In the Destination area, keep the first radio button checked and then enter the destination email address in full – like me@gmail.com. Then, click Add Forwarder. Boom! Now all email will be forwarded to me@gmail.com. In the meantime, please feel free to open a support ticket anytime you have questions or concerns about cPanel functionality, or any other aspect of your hosting experience. This entry was posted in Blog, Hosting, Tips on December 12, 2014 by Host Administrator.